•	Grabs hold of students' attention and does not let go, while simultaneously delivering serious content in a student question-and-answer format that is fun to read. •	Offers an online learning space that commands active learning and promotes behavior change. •	Features Connect, a highly reliable, easy-to-use homework and learning management solution that embeds learning science and award-winning adaptive tools to improve student results. 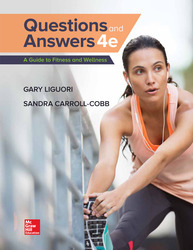 1 Introduction to Health, Wellness, and Fitness? 3 Fundamentals of Physical Fitness? 6 Flexibility and Low-Back Fitness? 9 Eating for Wellness and Weight Management? 10 Stress and Its Sources?